It started with an idea. A kid wanting to help a kid. An eleven year-old with a big heart and a big plan. $800 to buy a keyboard for Tuck, to help him pass the time in the hospital while he was fighting that damned Leukemia. An online bake sale to raise the money. And then you joined in. And the big plan got bigger. And then Tuck passed away. And our hearts were broken. It wasn’t the way the story was supposed to end. But we immediately realized – it hadn’t ended at all. A story like Tuck’s doesn’t end. It just takes a turn. We knew what we had to do. $800 for a keyboard became $4300 for an ICU compatible Wii. Cookies and brownies – 2 for $10. We are delighted to present the attached checks totaling $3,600, the proceeds of the Diary4Luck2Tuck bake sale. As per our discussions, the money is to be used, in concert with the $700 due to arrive shortly from Luck2Tuck, to purchase an ICU compatible Wii game system from the Starlight Foundation. 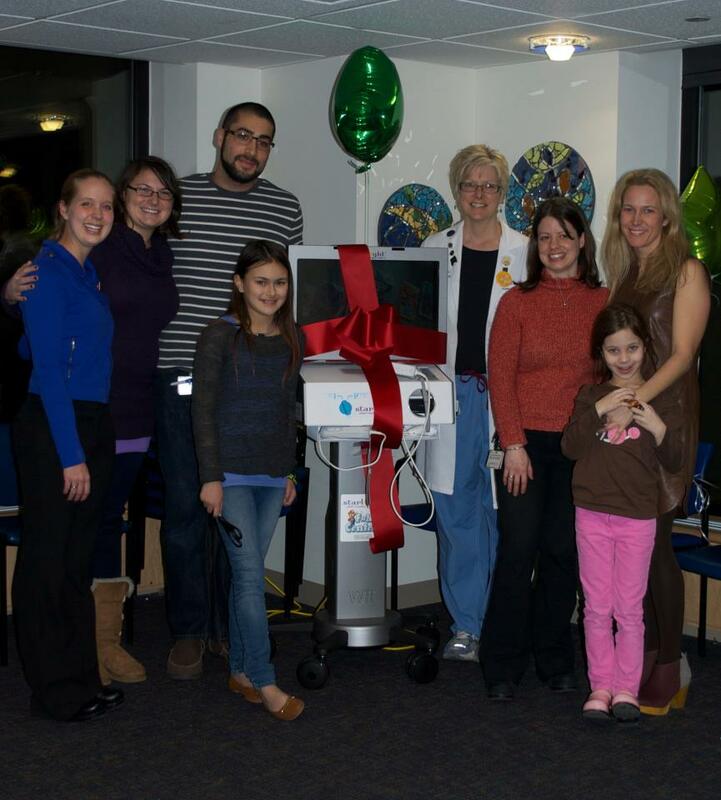 When it arrives, the Wii will be given to the Seventh Floor South ICU in honor of Tucker Gowen. 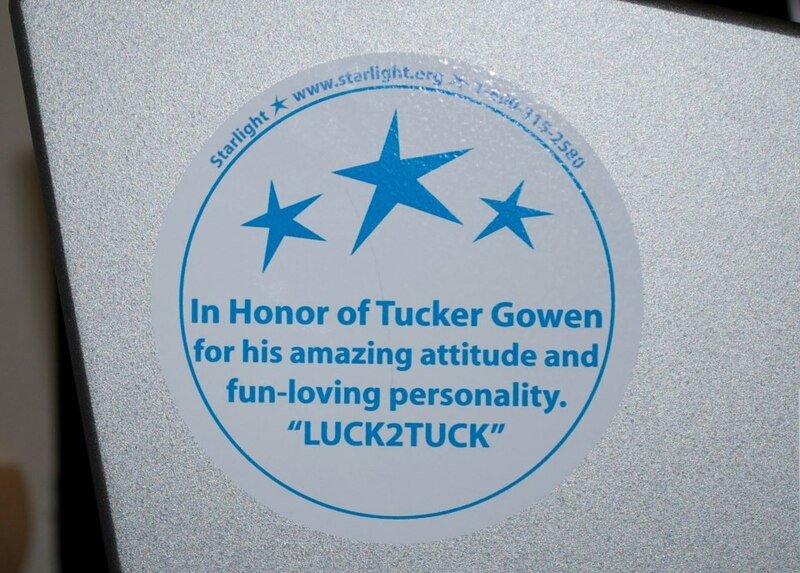 This is just one small way to honor the indelible impact that Tuck had on all of us whose lives he touched and to carry on his determination to spread joy and hope to others. 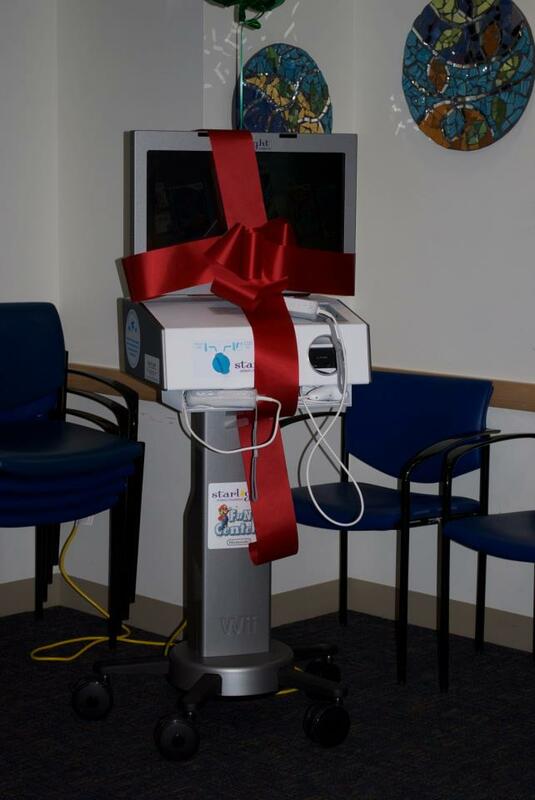 We have no doubt that every time the Wii is used by a child in the ICU, Tuck’s playful and mischievous spirit will be right there in the room. Just wanted you to know it looks like the Fun Center shipped on Monday — based on the notification we received. I will keep an eye on when it is scheduled to arrive and let you know so we can move forward with having you all come in for “ribbon cutting”! We’re very excited that it is this close to being here! The wait was an eternity. And yet, it seems, it was right on time. It’s hard not to think that Tuck had a hand in that. 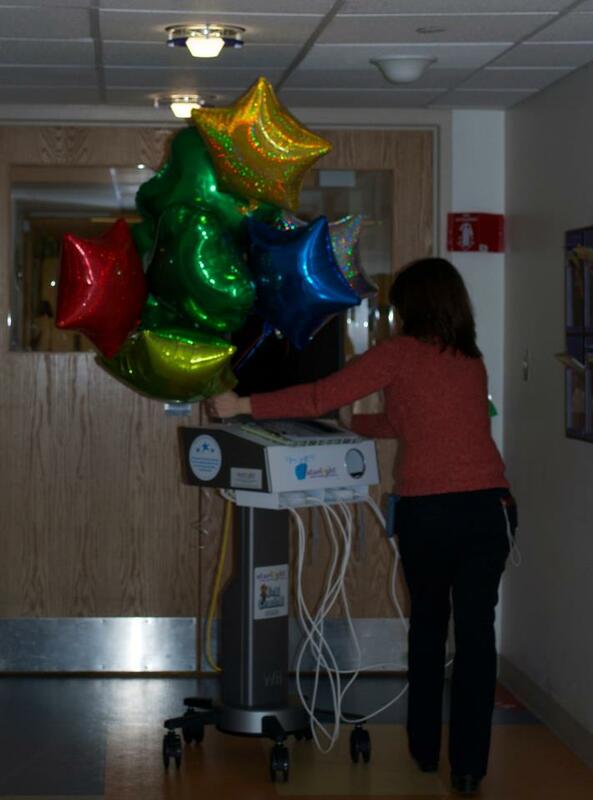 The week after next, Jeni and Katie will present the Wii to the Seventh Floor South ICU. And the lives of the kids who pass through that place will be just a little bit better, brighter, more hopeful, more FUN. Because of a kid whose story took a turn. And started anew. Thank you – every one of you – who made this possible. And to Jeni, we love you so much. On Friday night, the dream became real. 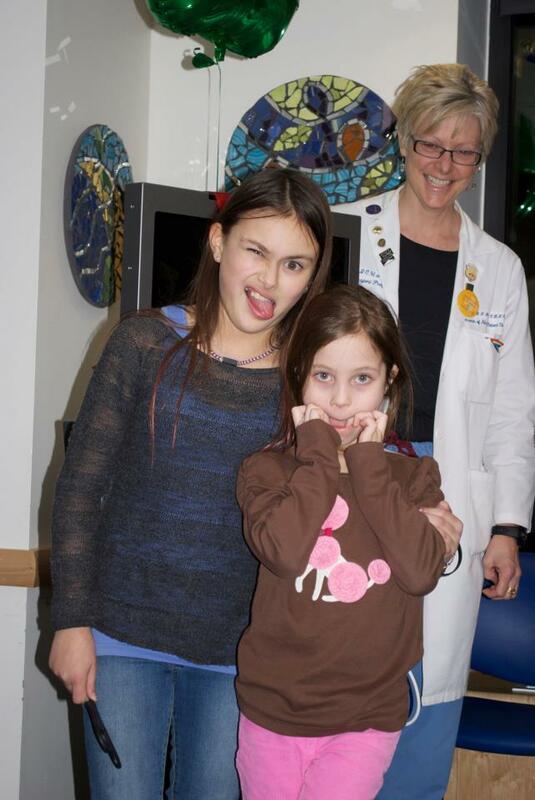 We headed to Children’s to meet Jeni, her brother, Alex, and the kids. 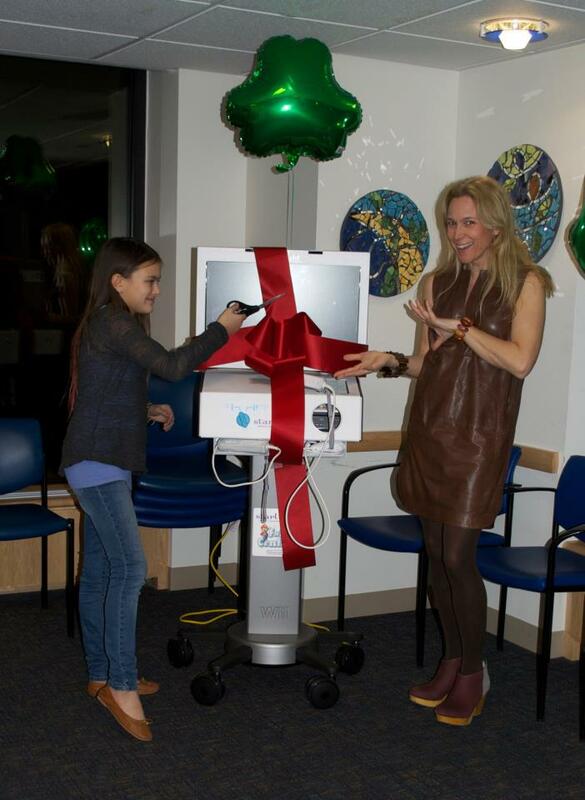 Katie would join them for the ribbon cutting, dedicating the Wii to the kids in the Seventh Floor South ICU in honor of Tucker. I was nervous. I steeled myself before we went. I had to be strong for Jeni, for the kids. As you all know, I’m a crier. This wasn’t the time. It turned out that I needn’t have worried. The spirit in the room was generous, loving, playful, even mischievous. Which, of course, was exactly what it should have been. It was Tuck. On Saturday morning, this was my status on Diary ..
None of this would have been possible without YOU. Thank you, a thousand times over, thank you — for coming through when my girl asked for your help. I hope you know that you were in that room with us on Friday night. With the nurses, with Katie, with Jeni, with the kids, with Tuck. YOU were there, making it all possible. 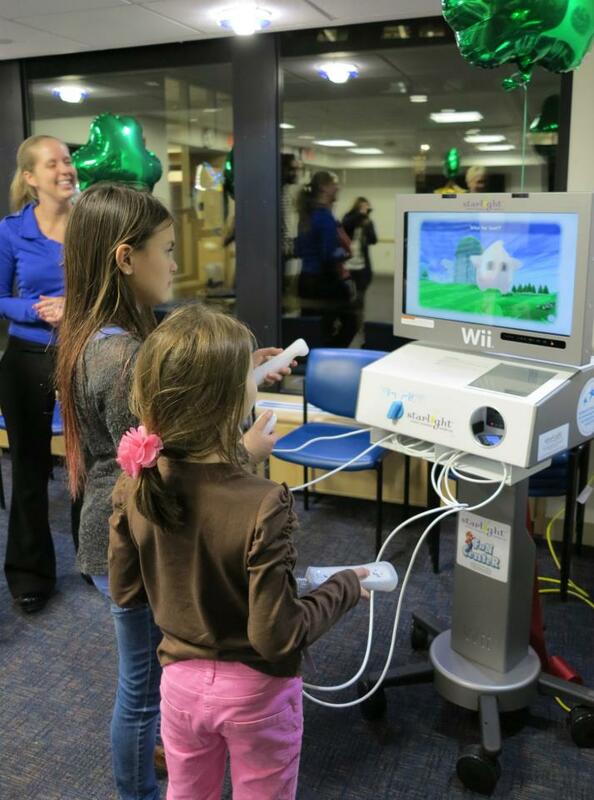 The Wii Cart – made just for the ICU by the Starlight Foundation. It was all kinds of awesome. Aisling getting the sillies out. Hey, it can’t all be serious, people. The whole gang – Alex, Finnian, Tristan, Katie, Aisling, Jeni and Lochlan. And some of the angels who were there throughout the journey. It ain’t a ribbon cutting until somebody cuts a ribbon. Taking it for a test run. What? They had to make sure it worked! And off it goes to the ICU. And now the lives of the kids who pass through that place will be just a little bit better, brighter, more hopeful, more FUN. It was a beautiful, albeit, heart breaking story from the get go but I’m so proud of Katie, you and all the Gowen family, as well as all of the generous donors. Tucker will never be forgotten. Cats don’t have puppies. Katie comes by her amazing generous thoughtful spirit naturally. Love you both. 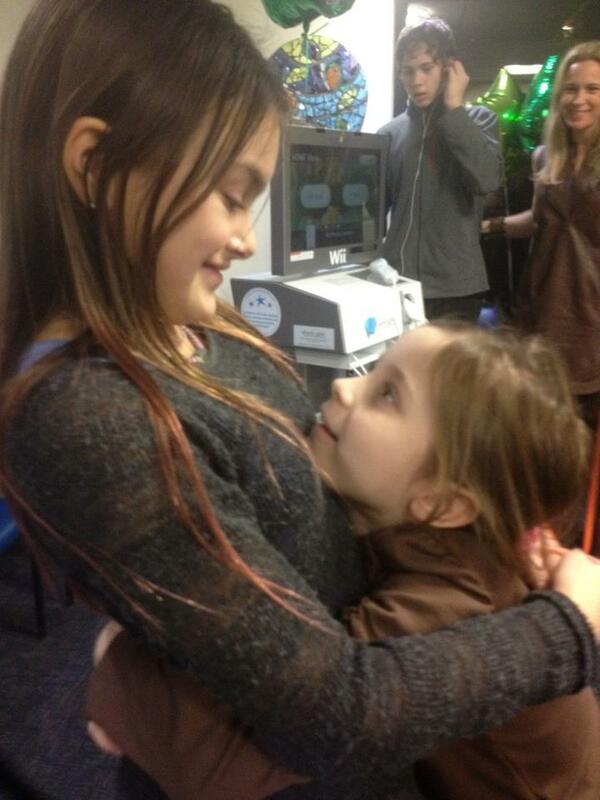 What beautiful and amazing girls you have Jess! It is no wonder when they have a mama that has a heart of gold. With help from Dad and God too of course:) The story of these two families coming together for a special cause to honor a special young man taken too soon, is truly heart warming. You and Jeni need to write a book together about all of this, but mostly about how even through pain, heartache, struggle, sacrifice and even loss there can still be a happy ending. Brooke is thriving and succeeding daily in the face of adversity. Katie is fueled by her own determination to make a difference. Imagine the kind of women they will become and the lives they will touch and have touched already. Just like their mama. What a happy ending that doesn’t end. Then the Gowen’s, both grieving and processing their own loss, while paving the way for a brighter tomorrow for those struggling to hopefully not have the same tragic outcome. Jeni sharing Tuck’s story and inspiring so many with her love and strength. I mean that is just a beautiful ending that doesn’t end. God is good, even in this peaks and valleys kind of world. He is good and He is definitely with all of you while you help change this world. While you help change those valleys into more peaks. Thanks for bringing us along on this not only amazing, but important journey. It is so inspiring & uplifting. God bless you all. Beautiful! And it seems it was just the right time indeed. 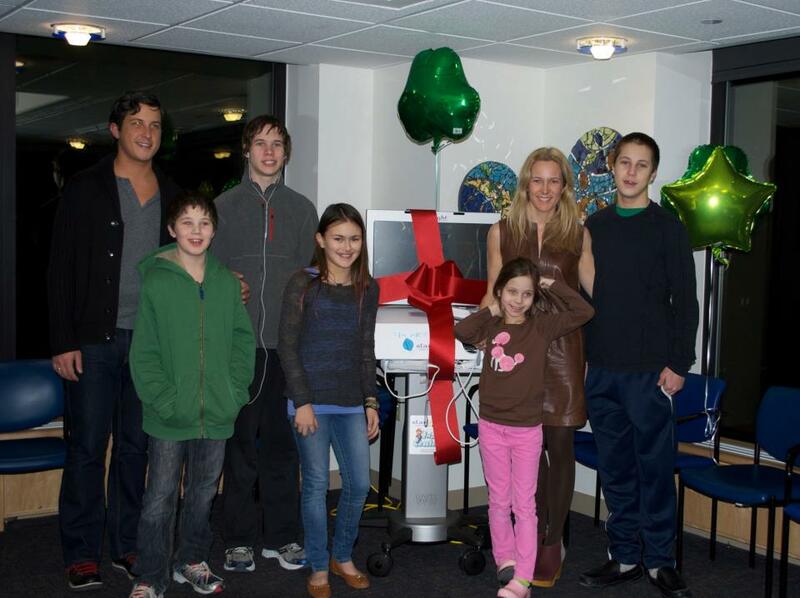 The Gowen family and Katie were ready to smile and enjoy some happiness in Tuck’s honour. So hard to do when grief is close to the surface, but so perfect it was as it should be. Well done Wilsons4Gowens. Beautiful. Good thing I have a box of Kleenex on my desk. What a beautiful daughter you are raising. Scratch that. What beautiful daughterS you are raising. 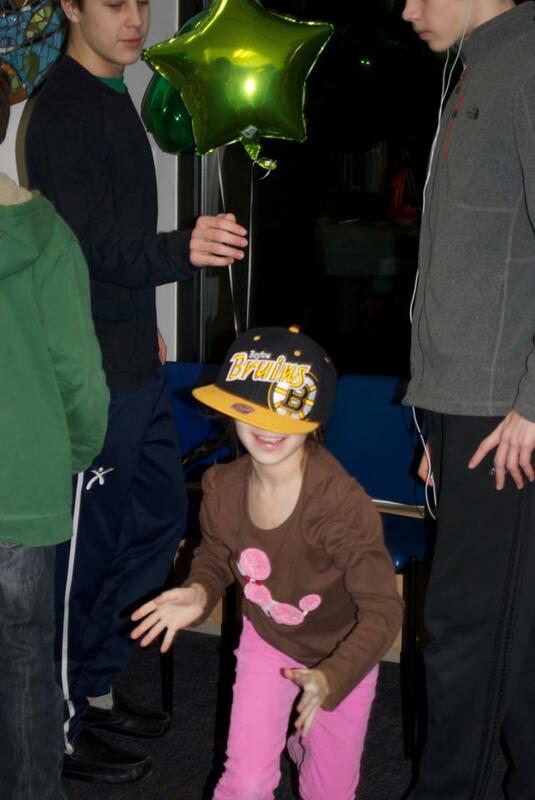 Special kids like Katie come from special parents like you. She will do wonderful things that you haven’t ever thought about and you will wonder how, as do I, about you everyday..
Love this, love your girl. Much love to the Gowen family.